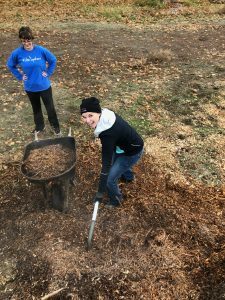 Spokane Home Guy Charitable Drive Success! 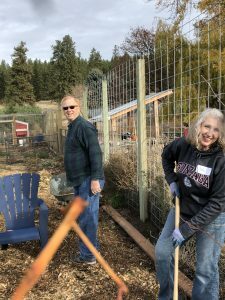 We are elated to announce that the Spokane Home Guy Group with help from Secured Investment Corp, Cogo Capital, Aspen Sound, and Rockford Town Hall were successful in our charitable drive and fundraiser for Hutton Settlement Children’s Home. 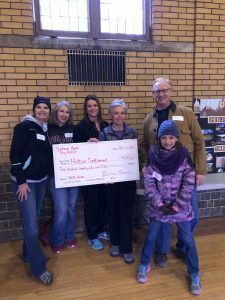 Together we raised $625 dollars towards their 2019 SALUTE garden. 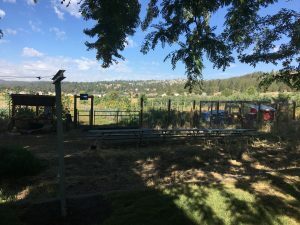 This garden is ran 100% by the children who are responsible for planting, caring for, and harvesting a variety of fruits and vegetables. 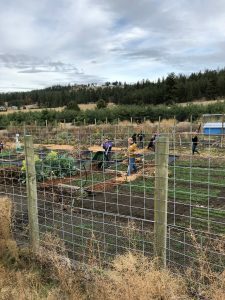 The produce grown is used for family dinners, the culinary arts program, and is sold at farmer’s markets to raise money that funds additional programs and outings at Hutton. Former clients, friends, and the community came together to donate school supplies, jackets, and items from a wish list compiled from Hutton. 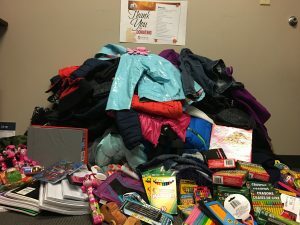 We are able to present the kids with 17 jackets, 107 hats, and a bag full of scarves, gloves, and socks to keep them warm this fall and winter. We also collected 32 3-ring binders, 18 spiral notebooks, 12 boxes of crayons, 6 packs of pencils and various other school supplies that the kids will be able to use for their SALUTE projects. SHG would like to send out a huge “Thank You” to all who shared our posts and helped spread the word and those who showed your support by donating your money and items to this drive. We couldn’t have done this without you! The kids and families of Hutton are thankful for all you have provided and your support. Hutton Settlement is committed to nurturing, educating, and preparing children who are in need of a safe and healthy home. They not only provide a home but a full family environment and community that lasts a lifetime. 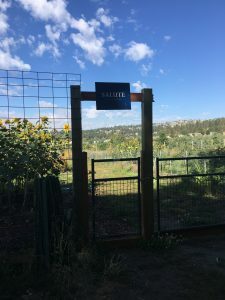 Educational excellence, learning, and community awareness and involvement is encouraged through SALUTE programs that include the culinary arts and agriculture.